Are you a contractor or small business owner looking for covered equipment storage in the Wilmington area? At AA Self Storage, we understand that owning a business often means owning tools, supplies and trailers that you don’t have room for at home. That’s why we provide Wilmington contractor and small business storage units available for your convenience. 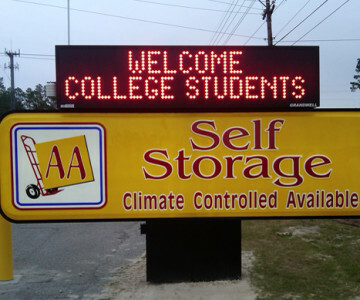 As an AA Self Storage tenant, you’ll benefit from onsite deliveries, 24 hour video surveillance and affordable rates. Plus, you’ll receive a personal code that will give you access to your storage unit 365 days a year. Clear the clutter out of your home or office – contact AA Self Storage today to rent a storage unit specially designed for contractors and small business owners.